Ozeki IVR (Interactive Voice Response) Studio is an excellent software application for creating a comprehensible, clear and logical voice menu system. It makes your customer relationship system more effective and lightens the workload for your employees as well. 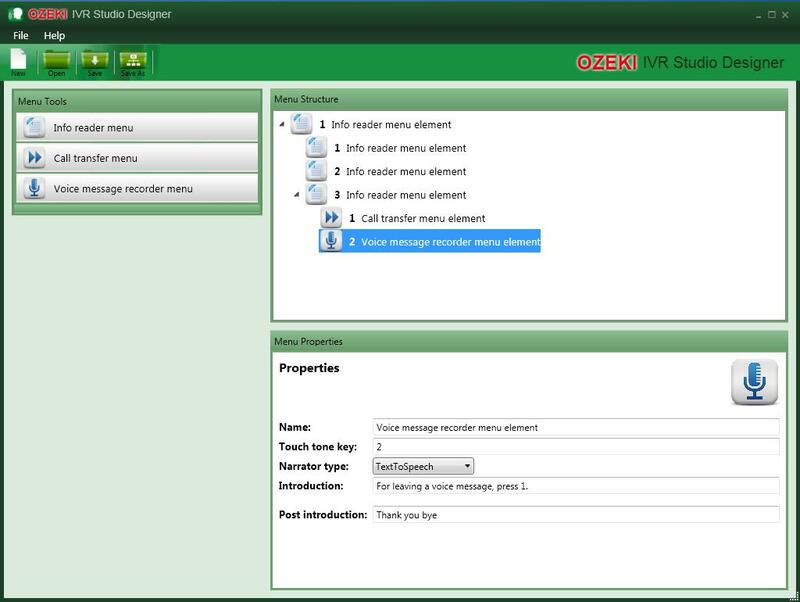 Ozeki IVR Studio consists of 2 programs: Ozeki IVR Studio Designer allows you to build a voice menu system. After you have created and saved your IVR, you can open that in Ozeki IVR Studio that can be used to manage your IVR system. Ozeki IVR has several advanced features which can maximise the performance of your business by supporting the customer relationsip system. 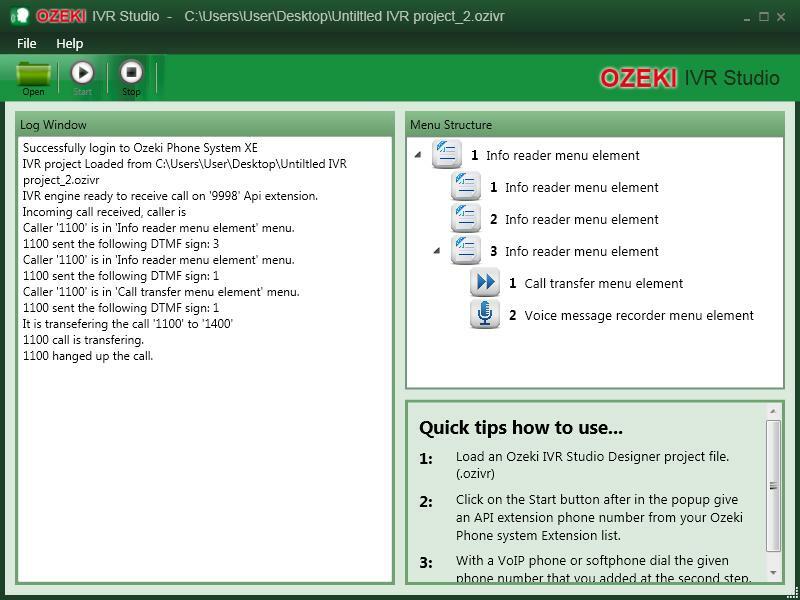 In addition, the IVR Studio can be connected to other free Ozeki products (such as Ozeki Broadcast By Phone). From simple call flow to incredibly powerful connections to web applications and other tools, IVR Studio simplifies business integration and increases flexibility.